Increased transparency into the business practices and potential conflicts of interests of pharmacy benefit manager (PBM) corporations could provide tangible benefits to payers, patients and pharmacists, the National Community Pharmacists Association (NCPA) said in comments submitted to the House Committee on Oversight and Government Reform, which held a hearing today on the prescription drug market. "The current business climate seems to be one in which market power is increasingly concentrated in an ever-shrinking number of corporate entities," NCPA said in its comments. "In particular, the overly concentrated and largely unregulated PBM industry exerts immense influence over how prescription drugs are accessed by the majority of Americans. Given the fact that the federal government is the largest single payer of health care in the United States, it makes financial sense for Congress to demand increased transparency into this aspect of the prescription drug marketplace in order to identify potential savings." 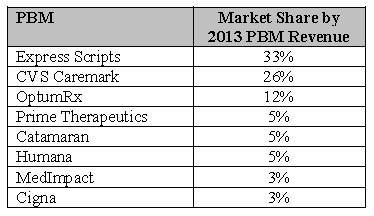 The powerful PBM market is concentrated and dominated by three large corporations that each reap staggering annual revenues and are not subject to industry-wide regulation. 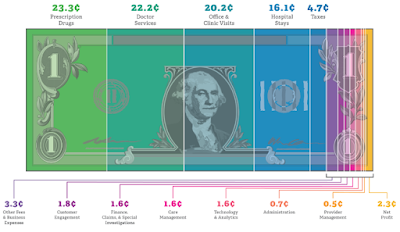 The lack of transparency allows PBM corporations to collect lucrative rebates from pharmaceutical manufacturers and "mark up" the cost of medication, charging the health plan more than the pharmacy is reimbursed. 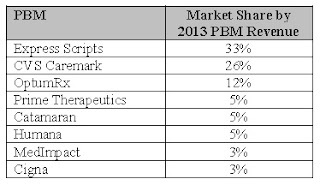 Increased PBM transparency may provide plan sponsors with a greater ability to negotiate more competitive contracts with these vendors in the first place, reducing costs. 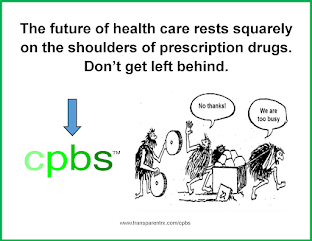 Independent community pharmacies must agree to "take it or leave it" contracts from PBMs to continue serving longstanding patients, due to the large corporations' disproportionate market power. Community pharmacists have zero insight or transparency into generic drug reimbursement rates and routinely incur losses when those rates do not cover pharmacy acquisition and dispensing costs, jeopardizing patient access to community pharmacies and prescription drugs. The National Community Pharmacists Association (NCPA®) represents the interests of America's community pharmacists, including the owners of more than 22,000 independent community pharmacies. Together they represent an $81.4 billion health care marketplace and employ more than 314,000 individuals on a full or part-time basis. To learn more, go to www.ncpanet.org.